How do we design urban technologies that engage and empower ‘publics’ (groups of people) to act on communally shared issues? That is the main theme of a new study (in Dutch) launched by The Mobile City and Virtueel Platform. 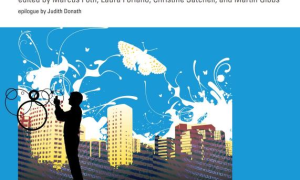 This week the book From Social Butterfly to Engaged Citizen was launched by MIT Press. The Mobile City’s Martijn de Waal contributed one of the chapters in which he investigates several urban ideals that underlie the design of urban media.